MMA fighters train for six hours a day or even longer as they not only have to be in fantastic physical shape but also able to master skills from a variety of martial arts. Follow the course of a fight from the opening bell to its end via knockout or tapping out. 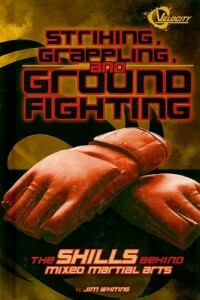 Descriptions of several notable bouts vividly demonstrate how fighters use their conditioning and skills.